Back in Stock! & Now with better Bust Support - wider adjustable and removable straps! Bothersome belly? Look no further than this tummy trimming style. Got curves? This knockout style will enhance them beautifully. Wider hips or narrow shoulders? This strapless style will help balance you out. 1000's of these sold over the years because it just works! NEW Wider, adjustable and removable straps for better bust support! 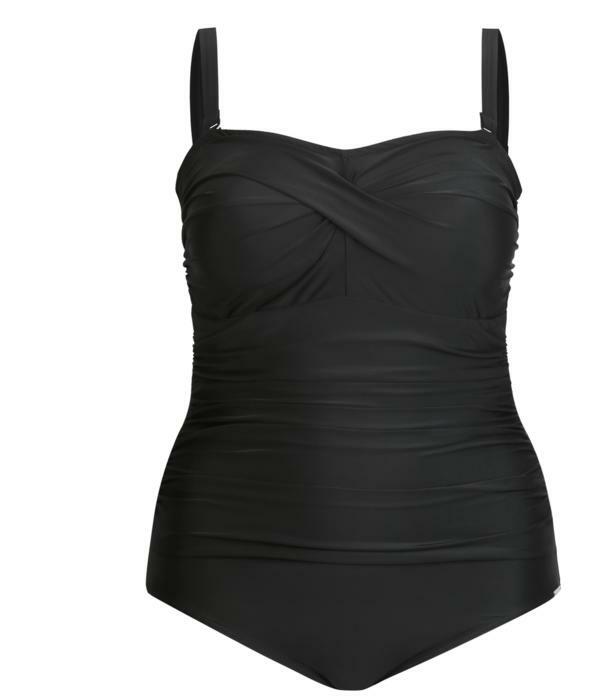 Best for a C-DD cup possibly E.
Bandeau style widens shoulders to balance out hips so if you're a 'pear' shape with shoulders narrower than hips, this is a great style for you. It's a great all-rounder fab on most shapes.